In the semester, students will be introduced to the basics of general surgery. The training builds on the curriculum and courses of the Department of Experimental Surgery. Within the framework (35 contact lessons), we train the students in two-week turnovers. The 35 lessons are divided by the timetable. Eight lectures will be held in the field of general surgery. 1. The concept, types and indications of surgery. Legal issues, Surgery. In the framework of block education, because of its close theme, we will be able to replace the absences in one of the next rounds. On an individual basis, we offer students an opportunity to participate in acute care. This is possible every week on Sundays and Mondays. Participation in fire and safety training is mandatory at the beginning of education. After the term of study, during the exam period, only students who are taught by our clinic are eligible to sit for an oral exam (colloquium). 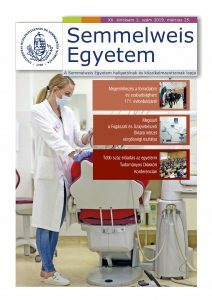 The exam items are published on our website and in the Neptun system at the beginning of the study period. The items will be compiled from the themes of lectures and presentations. With regard to the new form of education, there will also be items in lectures and presentations. Students can prepare themselves from textbooks and from other sources. All educators in the clinic participate in the education. Sabiston Essentials of Surgery. Saunders. Davis-Christopher (ed. : Sabiston): Textbook of Surgery. The biological basis of modern surgical practice. Saunders Company.